Introduction: As angiogenesis is closely associated with the process of carcinogenesis, it was the objective of the study to evaluate histologically quantifiable angiogenesis parameters in association with the aggressiveness and the prognosis of oral squamous cell carcinoma (OSCC). Materials and Methods: There were (1) histological preparations of 49 leukoplakia (Leu), 33 Leu with mild dysplasia (Leu-SIN 1) , 13 Leu-SIN 2 and 36 OSCCs resulting from Leu. In those, microvessel density (MVD), vessel diameter and VEGF expression were analysed to calculate the effect of angiogenesis on degeneracy tendencies. Subsequently, MVD and CD31 staining intensity were correlated in 50 OSCCs with tumour staging and prognosis with a mean follow-up of 54 months (2). Results: (1) For MVD, there were significant differences between Leu and Leu-SIN 2/OSCC (p<0.05) and between Leu-SIN 1 and OSCC (p<0.05). For OSCC, vessel diameters were significantly increased compared to Leu (p<0.05). Expression of VEGF increased significantly gradually from Leu-SIN 1 to OSCC (p<0.05). (2) Significantly higher vessel counts were seen > in T3/T4, N>0 and G3-4-OSCCs (all p<0.05). Higher MVD values were significantly associated with earlier relapse and earlier metastases as well as reduced overall survival (all p<0.05). Discussion: With leukoplakia as a precancerous lesion, the important role of angiongensis in gradual malignant transformation towards OSCC was demonstrated. For manifestation of OSCC, angiogenesis influences both the local and metastatic tumour growth and has a significant correlation to prognostic parameters, wherein the MVD represents a possible parameter for evaluation of prognosis. Introduction: An increase in transverse maxillary width can be facilitated using tooth-borne, bone-borne or combined tooth-bone-borne appliances. The advantage of bone-supported expansion is the direct transfer of the expansion forces on to the bone, thus leading to a reduction in the negative side effects such as buccal tipping of the anchor teeth, root resorption and bone dehiscence associated with dental anchored expansion appliances. Ready-made skeletal anchored distractors are mostly fixed submucosally in the bone. However, this procedure is more invasive, patient comfort is reduced and the activation process complicated. Materials and Methods: A new patient-specific distraction device was developed using a standard Hyrax expansion screw made of titanium and standard titanium locking miniplates. After individual positioning and fixation of the locking plates and the Hyrax screw on the model of the patient's jaw, these components were laser welded. The appliance is fixed intraoperatively using standard-locking mini screws. Results: Treatment with this method was successfully completed in five cases. The activation of the screw by the patient seemed to be similar to standard removable appliances or dental anchored rapid maxillary extension appliances and was therefore very reliable. Removal of the devices is less invasive in comparison to the submucosally fixed appliances due to the epimucosal plate position. Conclusion: This newly described method combines the advantages of the hyrax appliances with skeletal anchored distractors. Patient compliance is increased, and the interdisciplinary treatment of these patients between maxillofacial surgeons and orthodontists is supported. Interactive Teaching and Basic Biostatistics - Do They add Value to an Orthodontic Curriculum for Dental Undergrads? Aim: Integration of biostatistics content in the orthodontic treatment curriculum (9th semester) through practical exercises by the students. Materials and Methods: This dental-undergraduate curriculum includes the evaluation of the students' own dentition models. The models were 3D-scanned (ZirkonZahn AR600, ZirkonZahn, Gais, Italy) and virtually measured (Onyx Ceph® 3, Image Instruments GmbH, Chemnitz, Germany). Following a 60-minute lecture in selected basics of biostatistics, the students analysed the data they had obtained (R Project for Statistical Computing 3.1.0). Before and after the course, a questionnaire was filled out to evaluate the students' biostatistical knowledge and their personal attitudes towards the importance of biostatistics for dental research theses and future clinical work (10 questions, 5-point scale, "disagree" to "I agree completely"). A total of 68 questionnaires were analysed. To compare between the students' answers before and after the course, a Kruskal-Wallis rank-sum test was performed. Results: Students assessed their knowledge of biostatistics heterogeneously: while 61% claimed to know sufficient basics, 25% reported having no understanding of biostatistics at all. 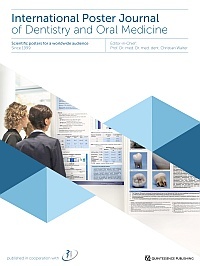 However, 91% of the students believed that statistics are very important for dental research. A stronger inclusion of statistical topics into the curriculum of dental undergraduate education was assessed rather negatively, but the agreement increased after this course. The comparison of questionnaires filled out before and after the seminar showed no significant difference, except in one question: a more extensive lecture in biostatistics knowledge was favoured by significantly (p = 0.04) fewer students after the course than before. Conclusion: Students' biostatistical knowledge is very dissimilar. A one-day course in medical statistics can only convey fragmentary knowledge, but demonstrates the importance for dental research and clinical work. The desire to learn more about statistics is low and was not increased by the seminar.